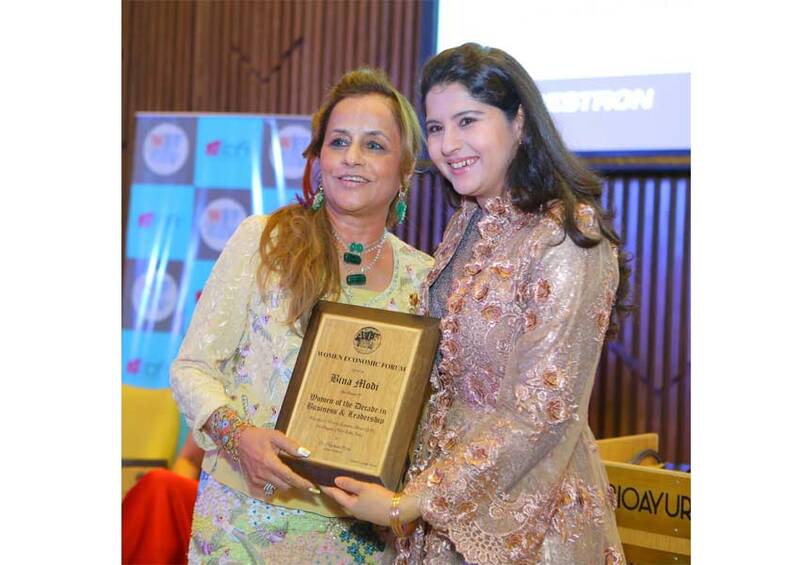 Bina Modi was awarded the “Women of the Decade in Business & Leadership” at Women Economic Forum Awards 2018, held on Friday, August 3, 2018, at Delhi. An associate of ALL Ladies League (ALL), the Women Economic Forum (WEF) is a global conference to foster empowering conversations and connections among women committed to foster constructive change in ALL walks of life. Also present at the event were Femina Editor – Tanya Chaitanya, fashion designer – Ritu Beri, Founder of Mpower – Neerja Birla and others.